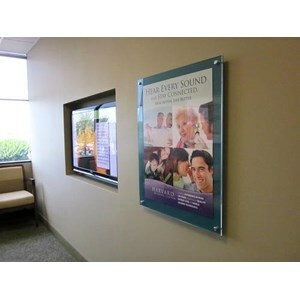 Indoor Wall Display Acrylic Poster Frame for Advertising. Easy poster insertion/removal. This item grate for Real Estate Agent,hotels,restaurant,hotel,super market,airport,bank,business center,window displays,Coffee Shop, Shop with Characteristics,Wedding Photo Shop etc.